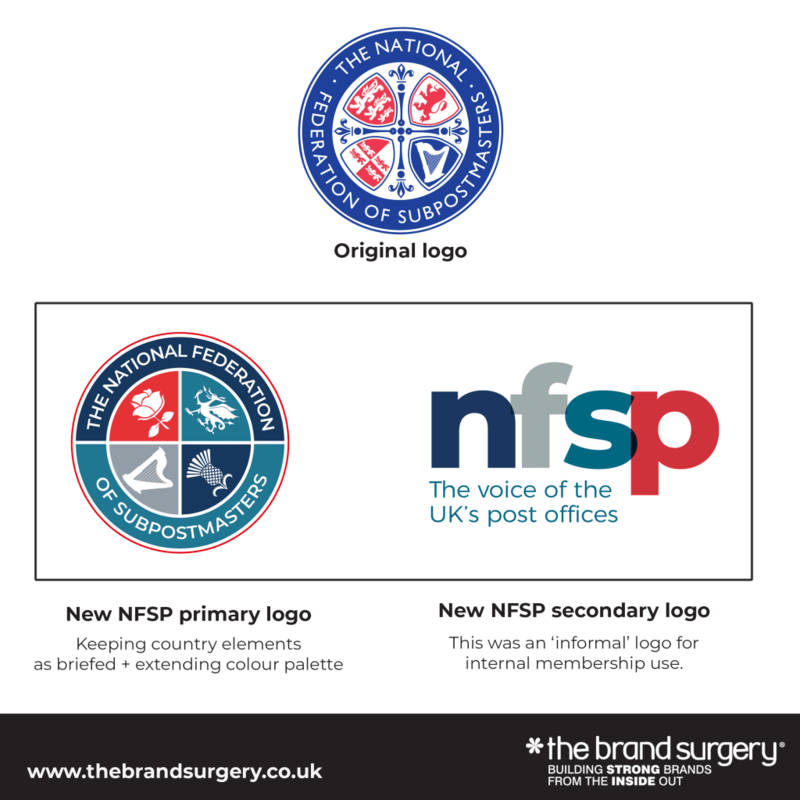 The challenge – Why did the NFSP require a brand refresh? The existing brand materials were not fit for purpose, were out of date and limited. 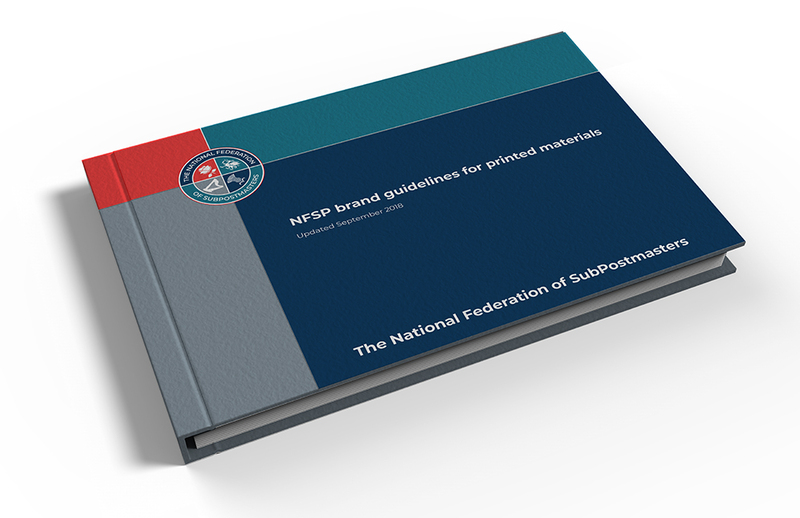 The NFSP’s brand guidelines were developed in 2013 which was the first time a set of brand guidelines had been written down. There was no guidance included around appropriate images, no tone of voice guidance, its colour palettes were restrictive and dated. After a full review of the existing materials the Director of Communications and Strategy concluded that, in order to deliver an effective communications service the brand guidelines required an update. The brand brief was to update the existing materials and provide a full suite of brand guidance and templates. The NFSP is proud of its heritage, and its knowledge and experience of the post office industry and therefore, it did not want a complete overhaul of the existing brand. The NFSP took a pragmatic approach and specifically requested retaining the four country elements and maintaining the general look and feel of the logos we currently use as well as retaining the tagline. 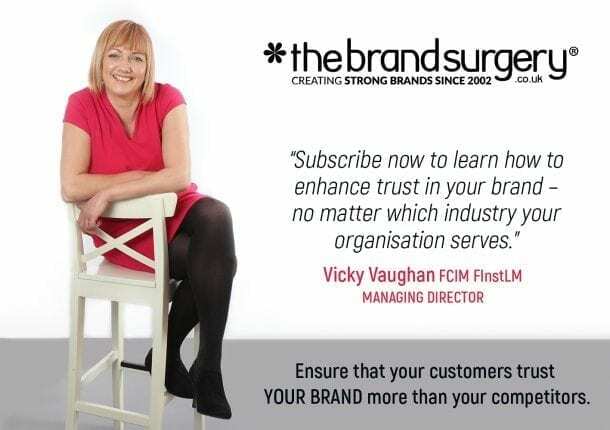 The Brand Surgery reviewed the member feedback we received from the Reader Survey, our employees’ feedback from a recent survey, and the work we have done on vision, mission and values. The Director of Communications and Strategy and the Chief Executive Designate (Calum Greenhow) also met with The Brand Surgery to brief them face-to-face on our requirements. The Brand Surgery also reviewed all existing materials. We simplified and evolved the NFSP logo so it can be reproduced in small or larger sizes. The secondary logo can be reduced down in size and look effective on promotional merchandise for example, notepads or pens for your valued members. We have also introduced versatile design elements to make marketing communications eye-catching to increase trust and membership engagement. We have selected a font that is free and easily accessible for NFSP’s diverse membership.